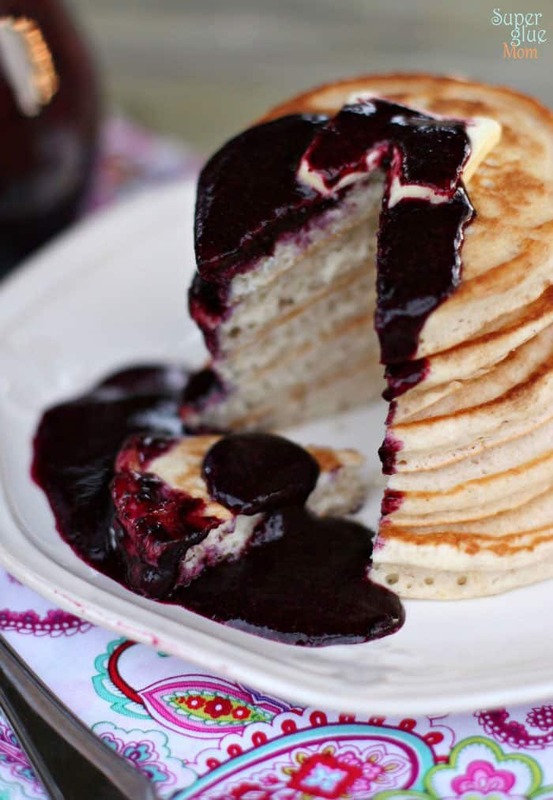 Blueberries in your pancakes are one thing, but this blueberry syrup on your pancakes is another. You’ll enjoy rich blueberry flavor in every bite! This post was originally published in 2013. It has been updated with a new recipe video. Enjoy! Breakfast is one meal that makes everyone happy. For this reason, I implemented a once a week breakfast-for-dinner night at our house, usually Thursdays. I love to take a break from what seems to be the constant “eat your dinner” nag that repeatedly comes out of my mouth. My kids take forever to eat dinner (like an hour sometimes) and are just not that into food. It’s a shame because I like to cook. 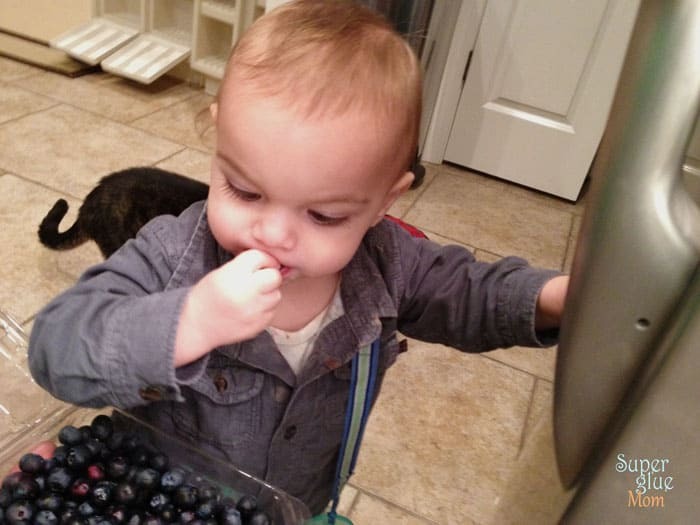 Except for Baby G., He has always been very much into food. There are some “staples” like homemade pancakes and syrup that they will devour. My auntie gave me a fantastic recipe for pancakes years ago, and it’s the only one I make. From time to time I add some ground flax, a mashed banana or pureed beets… but the basic recipe is the same. Fluffy, delicious and nutritious pancakes every time. You can also grab our easy recipe for gluten free pancakes if you need it. 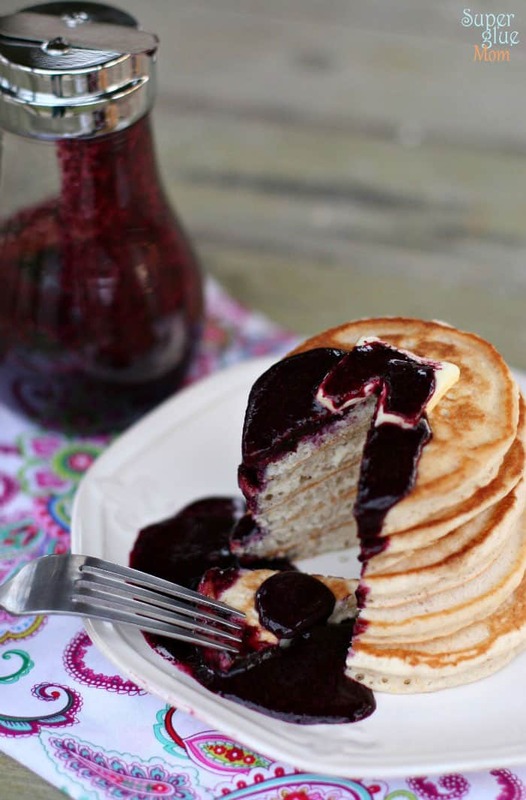 We’ve found that our gluten free pancakes are the perfect match for this tasty blueberry syrup. You know what I love about real food? That there is no “secret” ingredient that makes the recipe better. Fresh ingredients are always best. That’s the concept I used to create the Family KickStart Program. Good, whole food that the whole family can enjoy together! 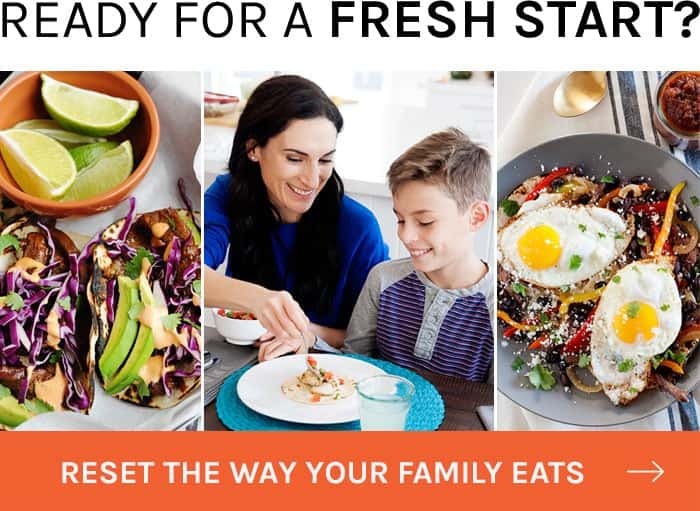 If you haven’t heard about Family KickStart yet, it’s the only 30-day whole eating plan that was specifically created for busy families. 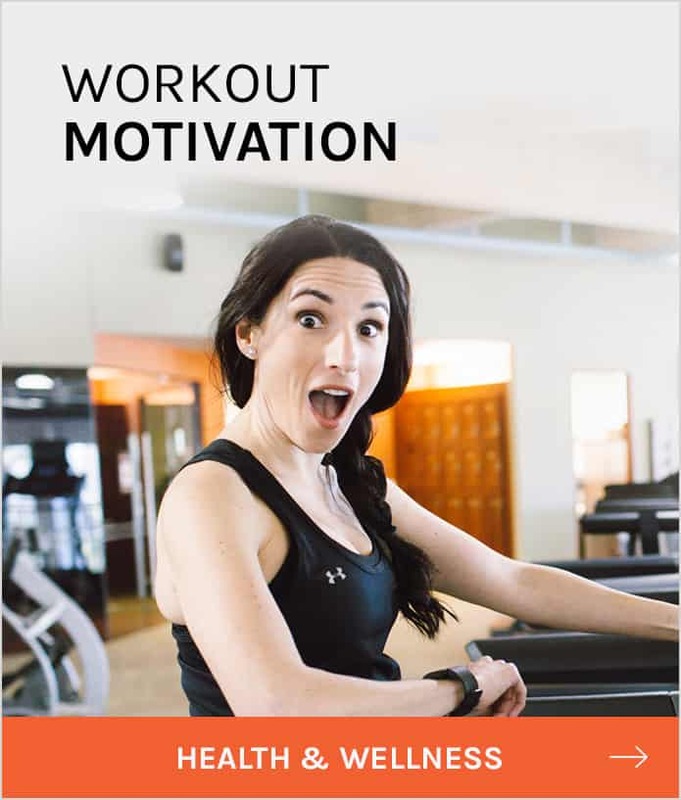 In it, you’ll find delicious recipes that your kids will actually enjoy, 4 weeks of meal plans, 50+ recipes, and even shopping lists. 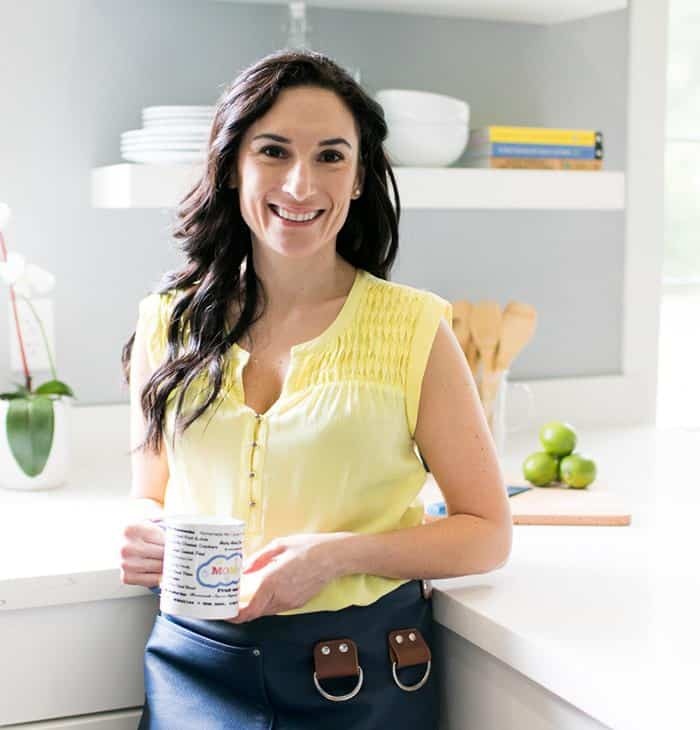 I took care of all the leg-work so you can focus on cooking amazing food with those fresh ingredients we love so much. 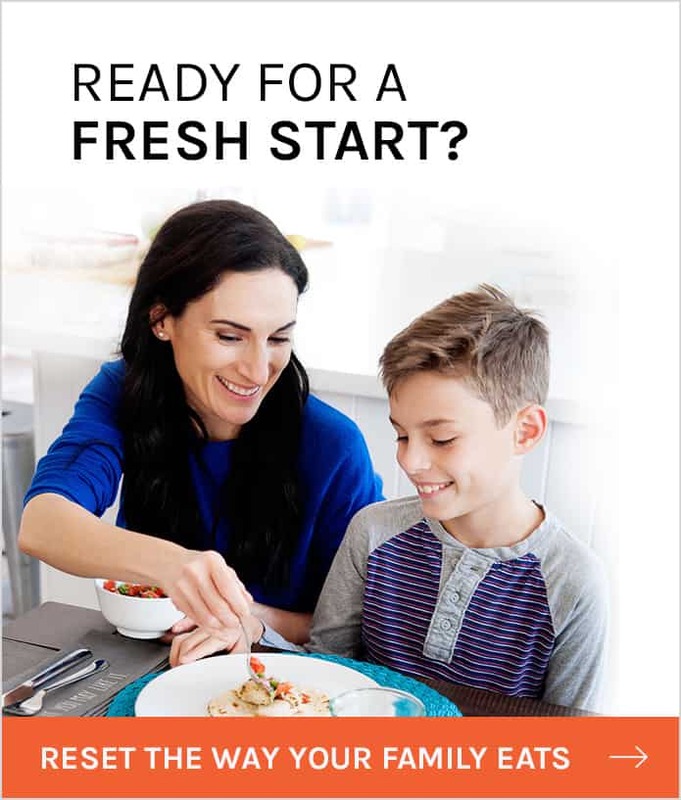 Learn more about the Family KickStart program here! So why am I writing about these pancakes and blueberry syrup sauce? Last time we went to IHOP with the kids (like two or three years ago on the drive back from DisneyWorld) my daughter was surprised to see that there were other “syrups” on the table. Although we haven’t been back to IHOP since, she remembers the syrup. It’s crazy the kinds of things kids remember about a place! 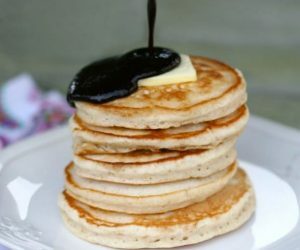 So, she’s requested to have blueberry syrup with her pancakes; like the one from that restaurant. Of course, you know my answer. I am not going to buy make-believe syrup. 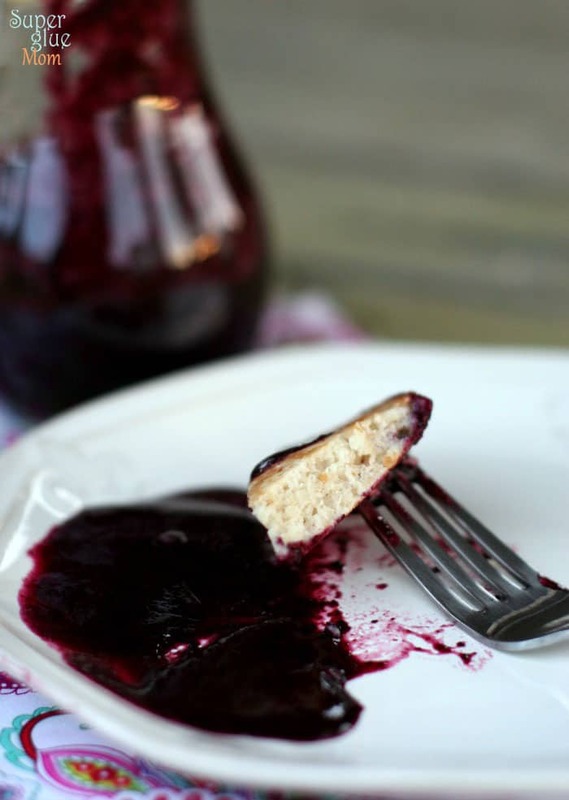 Once again, I asked myself: how hard could it be to make real blueberry syrup? Not very hard at all. You will see how easy and delicious a few ingredients and make your plain pancakes into wow! pancakes. Check out how easy it is to make in this short video. And there you have it, my friends. 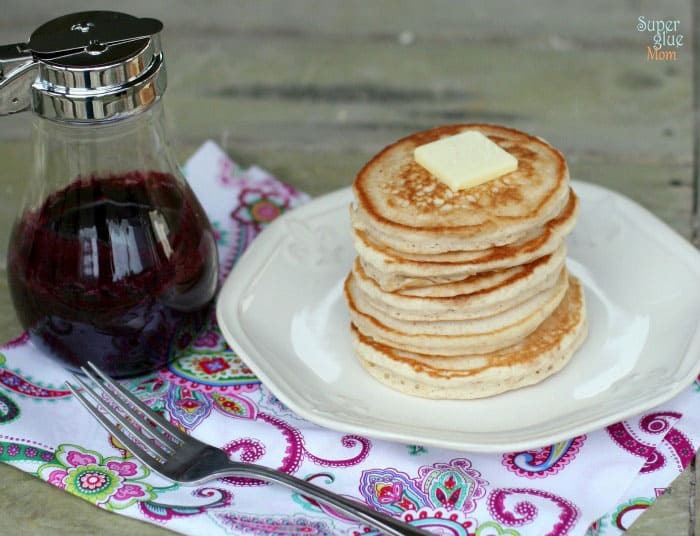 Perfect pancakes and real blueberry syrup everyone will love. After this one, be sure to try my recipe for Strawberry Syrup. 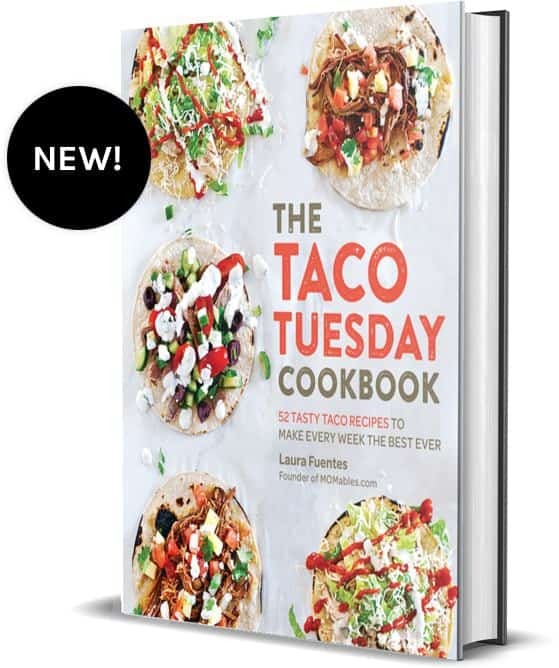 It’s another family favorite at our house! 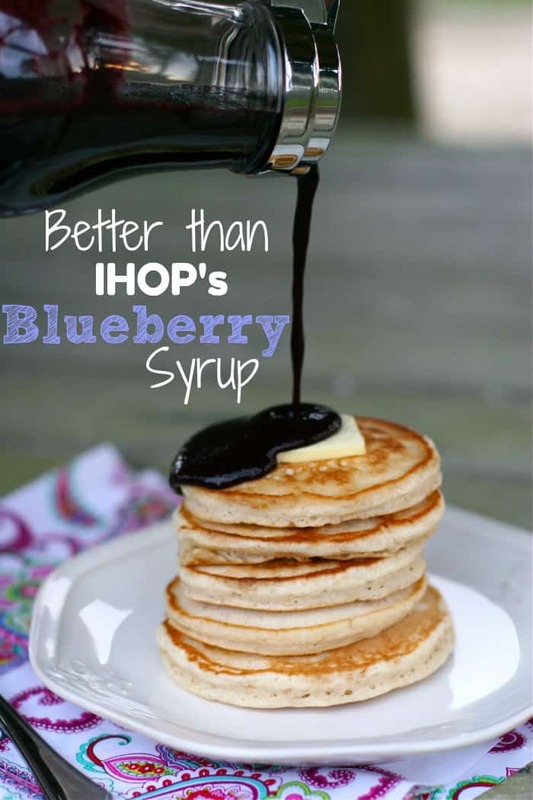 This homemade syrup recipe is made with fresh or frozen blueberries and is a tasty topping to any pancake or waffle recipe! Combine 2 Tablespoons water and cornstarch in a small dish and set aside. In a medium saucepan, bring water, sugar or honey, and blueberries to a boil. Stir occasionally. Reduce heat and simmer for about 10 minutes. Add water+starch mixture and blend well. The sauce will thicken, the blueberries will have busted open and it begins to smell like pie. Store in refrigerator up to two weeks. Take out a few minutes before serving at room temperature or warm. If your kids don’t mind blueberry pieces, make your pancakes and serve the sauce as is. My beautiful picky eaters don’t like blueberry “pieces” so I insert an immersion blender and blend well. If you do this, you will need to add about 1/4 cup additional water before blending or it will be too thick. Of course, you can adjust to the “runny” consistency of your choosing. You blend the blueberries after they’re cooked correct? Not before they start cooking? That’s correct. You blend smooth after it’s cooked. I bet a gin-based infusion would be AMAZING! Glad it turned out ok for you. I’m so glad you enjoyed it Lindsay! You can use any fruit you want with this easy recipe. I used Monk Fruit sweetener instead of sugar and it turned out awesome! Thank you for the recipe!